Tip Tuesday: Grab a Sharpie! When you join Slimming World (or even Weight Watchers to a point) you will be introduced to the syn world. The treats, the naughty stuff, the not so naughty foods but still contain a sin value. Being clued up about what syns are in your cupboards is the key to success I think. One tip you might like to use is the Sharpie trick. It probably helps to not buy the naughty stuff at all, but if you have children or a partner would isn't on Slimming World then you will come into contact with these syns. Plus having some goodies in your house is not necessarily a terrible thing. 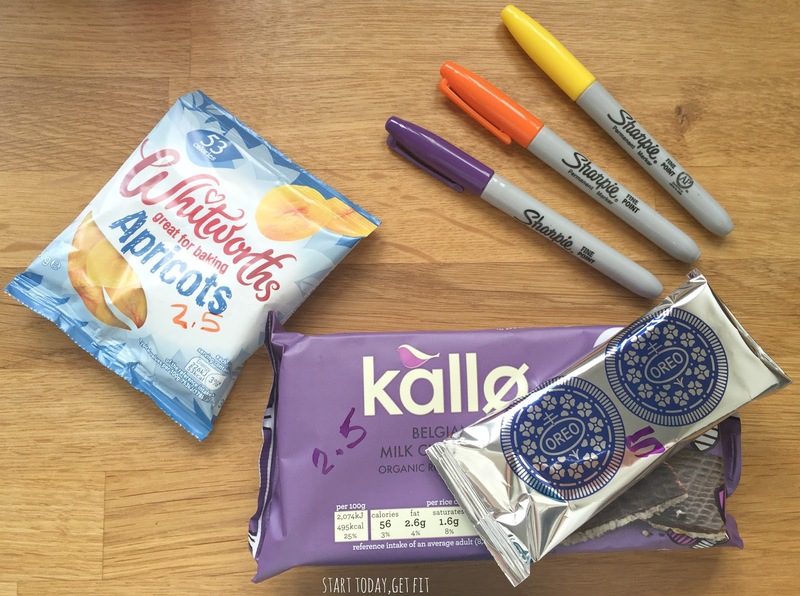 The trick is when you first get home from the supermarket grab a marker pen / Sharpie and using the app or computer find out the syns for everything. No guessing let's be honest people. Write it on the packaging somewhere visible and when you feel like dipping in to those Oeros because you are caving the sweet stuff ... you'll instantly know the value of the item. And it may even put you off eating it all together. If you asked me 10 years ago if i would eat spoon of peanut I would of said 'No' but now I quite like the nutty stuff as time has gone by. The best type of peanut butters are ones which are literally (sounds stupid to say this) but are literally made of peanuts. Sounds daft to say that however doesn't it however you'll be surprised that so many brands add unnecessary ingredients to make it taste better or to preserve it- why?! 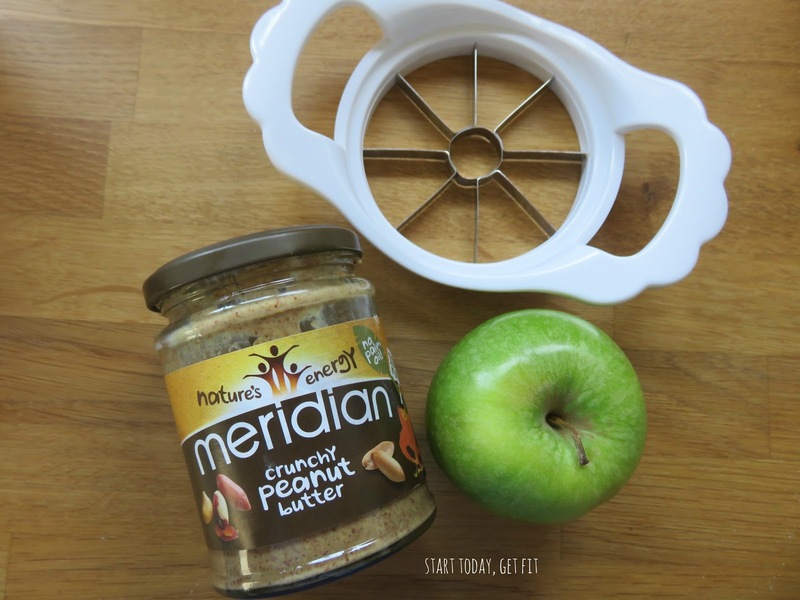 Anyway, the best peanut butter I can recommend is the Meridian Crunchy Peanut Butter - made purely from peanuts. For those of you who are not a fan of crunchy there also sell a smooth version. A TBS of this will set up back 4.5 syns and I love to team mine with a fruit. 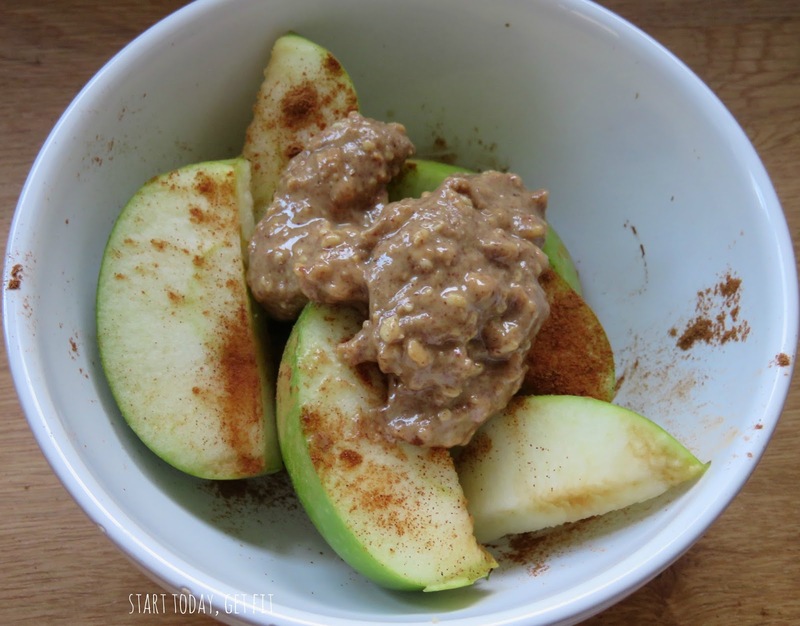 I find apples and bananas are the best - plus obviously cinnamon. A great tip if you do not know, is to eat this after a gym work out. Peanuts are jam packed with protein and protein is especially good to repair muscle damage. Chicken obviously works too and is free on Slimming Wotkd, but if you fancy something a little different here's an idea for you. Heads up everyone - you know what time it is.... it's Slimming World healthy recipe sharing time!!! Todays recipe is our fishy favourite salmon. I love salmon, I love it whole or flaked into a salad... it's just really tasty. 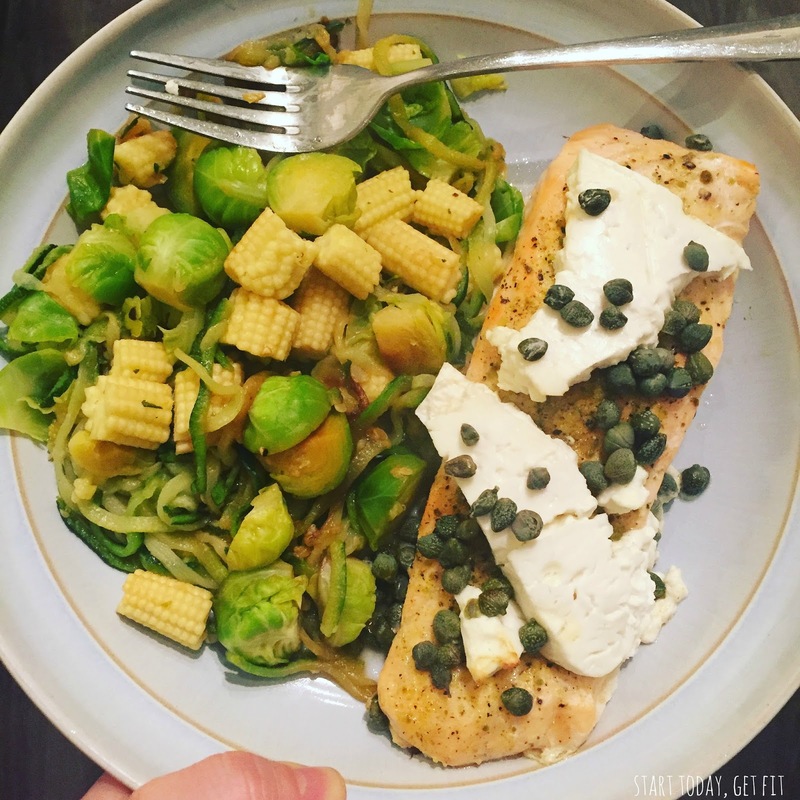 Another two things I also love is feta and capers. If you share a greek salad with me, be warned you'll be fighting me for the feta on the plate. - Start off by pre-heating your oven to 180 (fan oven for me but just read the instructions on the fish). - Take your boneless fillet of salmon and a baking tray and what I usually do is take my tin foil and make a little parcel for the fish. I place the fish in, season with pepper and herbs - lemon juice too! I then throw on my healthy extra A choice which is the 45g of feta. You can cook it with the salmon or you could crumb it over cold afterwards if you wish. I then pop on about a TBS of capers on top. - I seal up the parcel and pop into the oven for 22 minutes. - Whilst that is cooking away I prepare my veggies. Photographed I have courgettie, brussels and baby corn which I steamed. - when the timer on your oven beeps your salmon will be cooked. Serve with the veggies and you're done. Enjoy! Cinnamon: why you should love it! 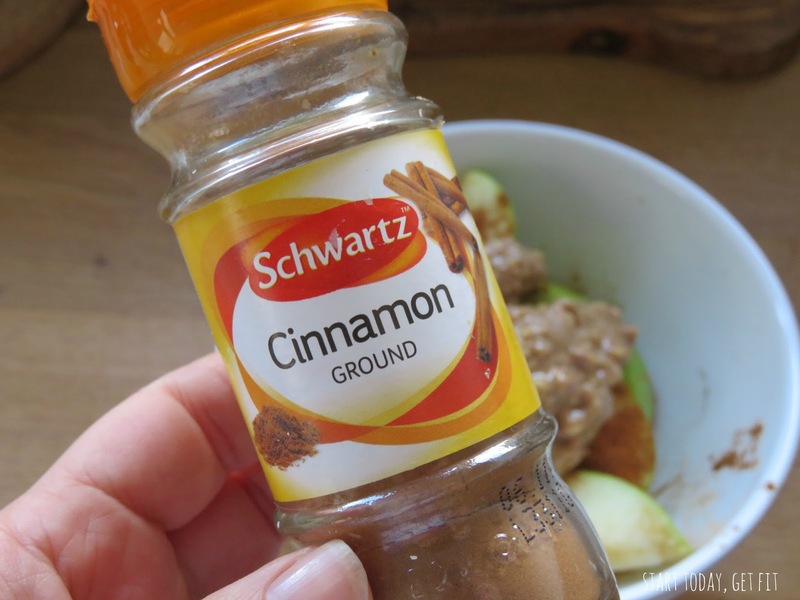 It might sound weird or strange but I pretty much consume cinnamon every... single... day. It is kind of a staple for me - like air... brushing my teeth - you get the gist right? If I fancy snack foods like chopped apples and banana, I will sprinkle it on. If I have porridge or overnight oats I will use it. If I'm baking and eating a cheeky apple crumble (don't tell anyone)...I will use it. It's a kitchen staple in my house hold. The fab thing with regards to it, is it's FREE on Slimming World! High five! But also, yes it's free on Slimming World but this tasty spice has tonnes of health benefits that you may of never known of. For example it can be used to help treat muscle spasms, vomiting, diarrhoea, infections, the common cold, loss of appetite, and erectile dysfunction (apparently so boys!). Cinnamon is also rich in Vitamin A and K and it assists with combatting bowel inflammation and rheumatoid arthritis. Plus according to Diabetes UK, it may lower blood sugar in people with type 1 or type 2 diabetes. So next time you're walking down the aisles of your supermarket, give this little guy some thought. He may be small but he is amazing to have in your life as he will make your food taste great and give your body a helping hand! 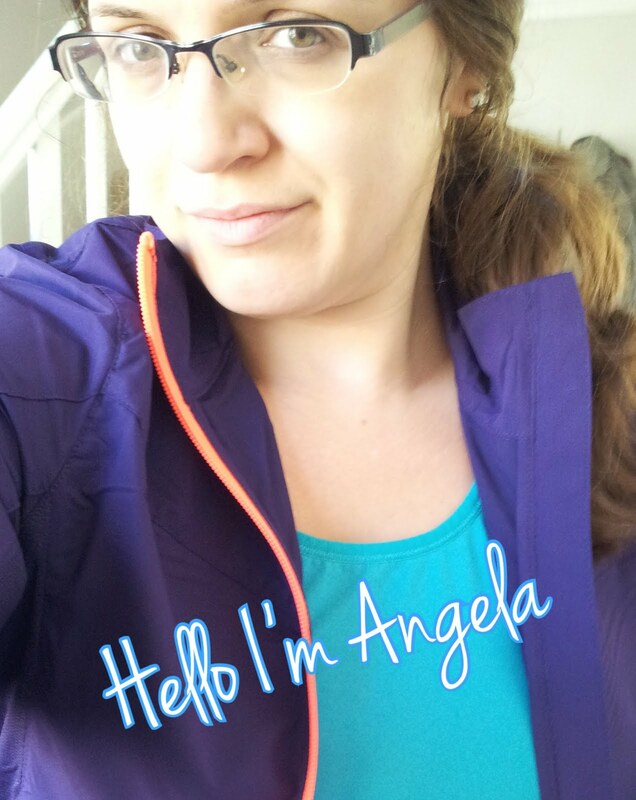 Hello I'm Angela and welcome to my place on the internet, where I talk all things Slimming World, my own fitness journey plus a few healthy extras!! Items shown with a (*) are products which I have received at a PR event or have been sent by the company. © Start Today, Get Fit!. All rights reserved.